AcePerHead.com is one of the oldest Bookie Pay Per Head provider in the industry. Over the years, they have grown into a huge powerhouse in the Pay Per Head industry. Thus, the question we will ask in our AcePerHead.com Review is whether they remain one of the best PPH providers. We ask this question because we understand that rankings change over time. In addition, recently, several bookie pay per head reviews have not been favorable towards them. Furthermore, we will go over whether their ownership of AceSportsbook.com has any bearing on how they do business. 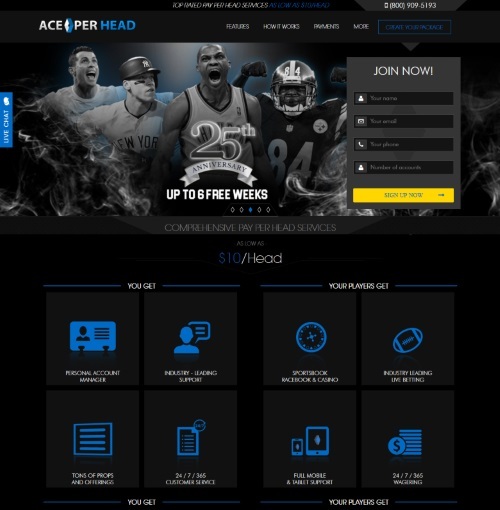 Right off the bat, AcePerHead.com is part AceSportsbook.com which in turn is part of the RDG Corp family. Furthermore, despite several complaints about RDG Corp sportsbooks, they have nothing to do with their Pay Per Head division. Thus, we are keeping an open mind in this AcePerHead Pay Per Head Review. 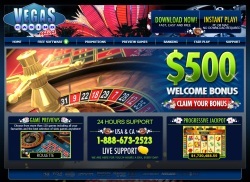 According to their website, they began operating in 1998 and use the DGS software for their gambling platform. However, they must be talking about their sportsbook operation since the website itself began in 2000. Initially, their PPH business was just to fill a demand from their agents looking for an online sportsbook operation. As their PPH business became more popular, they began an entire department for their Pay Per Head operation. Opening an account with AcePerHead.com is a headache as an agent because nothing is automated on their website. Thus, once you fill out their registration form, you basically have to wait for them to respond to your inquiry. On average, they are fairly fast and it usually takes less than a few hours. However, this is disappointing because most of their competition have an instantaneous registration process. Once we sent them a $500 payment and had our login info, it was time to review their PPH services. Overall, they have pretty solid Pay Per Head agent interface. It does everything they advertise on their website and has decent reporting which makes it easier to manage players. Furthermore, the player website they give you is ok but nothing to brag about. You will need to do a lot of changes before it stands out. The player betting interface on the other hand is more or less the basic DGS interface you see on hundreds of websites. In terms of prices they are on the high side of the spectrum. The initial price is $10 per player but for this package, the agent only gets the bare minimum. This is because extra for features like live betting and phone wagering. In addition, they do have a lot of payment options. They include: Bitcoin, vanilla gift cards, ethereum, person-to-person transactions, money order and American Express. For the price, we consider AcePerHead.com a third level Pay Per Head Provider. They have a good sport betting software but then again so do most PPH companies on the internet. If they would lower their prices, work on their downtime and work on the player interface they could be a top PPH company. Thus, our advice is to find one of several Pay Per Head that have faster service at more competitive prices.